Twelve-year-old Christy loves everything about Christmas in Saint Lucia: awakening to the smell of delicious beef and pork stewing on coal pots, playing dolls with her cousin Sweetie, and of course, singing along to the music of George Jones. The traditions are threatened when a quarrel breaks out between Christy’s mother, Merm, and her aunt Mabel. It’s not just a minor tiff between sisters, either: they are so angry with each other that Mabel threatens to spend Christmas with her family in a hotel, and Merm declares that her own family—Christy and her siblings—will spend Christmas Day by themselves. Heartbroken at the thought of spending the holiday apart, Christy and Sweetie hatch a plan to make the adults in their lives reconsider what Christmas is truly all about. What they discover about the bonds of family—and the powerful sentimentality of country music—will resonate with anyone who has ever felt frustrated by the people they love most. 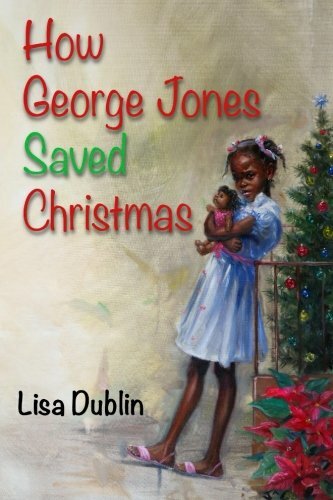 Tender and nostalgic, How George Jones Saved Christmas is a story of complex family dynamics as seen through the eyes of a precocious young girl. Lisa Dublin is a poet and writer. The recipient of a Silver M&C Fine Arts Award for Short Fiction in 2003, she has also earned acclaim as a powerful performance poet, having won two Word Alive competitions in Saint Lucia in 2005 and 2010. A native of Saint Lucia, Dublin currently resides in Canada with her family. Read more of her work in the anthology Roseau Valley and Other Poems for Brother George and her chapbook, Sani Baat—a Voice Throwing.